Or, at least it always feels that way when reminiscing about Rome. Oh, Rome. Throughout my travels, I’ve had la bella fortuna to spend a fair amount of time in Rome throughout the seasons. Between incredible sights such as the Coliseum, the Parthenon, the Roman Forum, and the Trevi Fountain, the Eternal City is a walkable museum brimming with larger-than-life history in every piazza. Here, the ancient and modern worlds co-exist together with class and a feisty charm. Needless to say, Rome is one of my favorite cities in the world. And then there's the food... The Italians have long perfected the art to eating well and the new Eating Rome by Elizabeth Minchilli provides an insider's guide to living la bella vita. In equal parts a travel guide, personal narrative of Roman life, and recipe book, Eating Rome by Elizabeth Minchilli takes the reader on an all-encompassing food tour of the Eternal City. Reading Eating Rome is like sitting down with your Roman best friend and dishing on all of the best Eternal City markets, cafés, and trattorie. As a local, Minchilli’s tips included in each chapter guide the reader on how to eat and drink just as the Romans do. 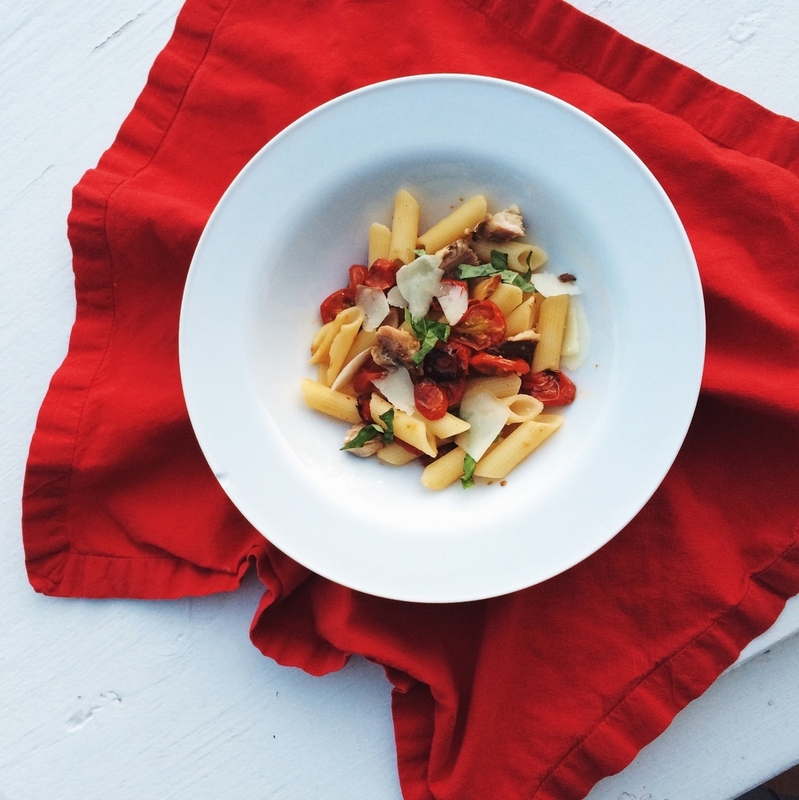 On a beautifully unexpected sunny evening, I tested a few of the recipes such as the roasted tomato and sardine pasta. For those of you who shy away from cooking with sardines, don't! They're actually the key ingredient in many authentic Italian pasta dishes. You won't regret it. The roasted tomato and sardine pasta is the perfect dish for a warm night. It’s light yet bursting with the flavor of seasoned roasted tomatoes and just enough saltiness from the fish. All right, I know that tomatoes aren’t exactly in season in Oregon yet, but this spring night felt straight out of August and I had to capitalize on the gorgeous weather. I can’t wait to try the carbonara, the ultimate Roman comfort food, for a rainy day. One of my favorite sections of Eating Rome is the entire chapter devoted to artichokes, a specialty of the Roman Jewish community. With mouthwatering recipes of the likes of carciofi alla romana, pasta with artichokes, peas, and mint pesto, as well as artichoke lasagna with a classic besciamella, I'm feeling inspired to try my hand at cooking the funky vegetable this fall. 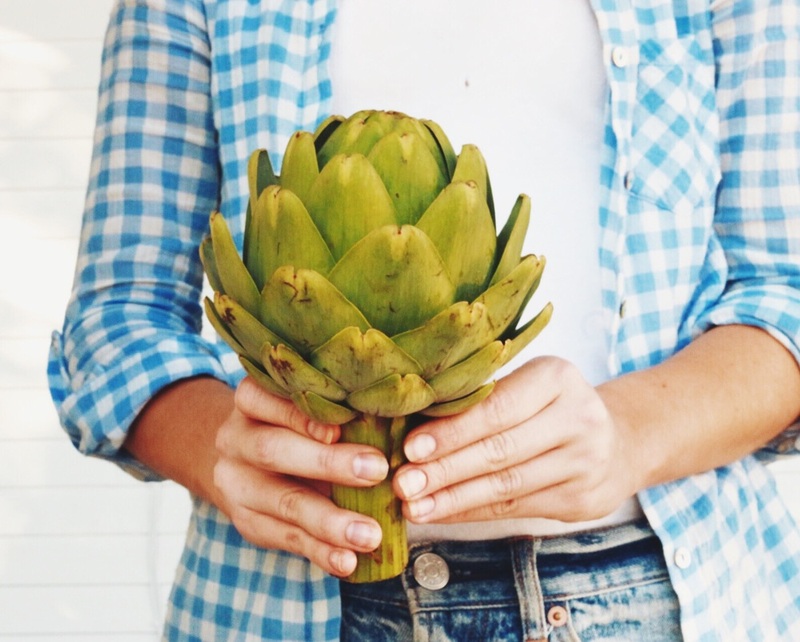 Seasonal eating: Artichokes are in season in Rome from April - May, and in Oregon from September - October. Eating Rome is one of my new favorite books on Italy. It often takes a bit of research to find the most authentic eateries when traveling. With Eating Rome, the locals' favorite restaurants, cocktails, and gelaterias are deliciously revealed. I can't wait to try all of the best spots the next time I find myself in Rome. Until then, I'll be cooking up these delicious recipes to satisfy my eternal Eternal City wanderlust. Elizabeth Minchilli is the author of six books on the joys of Italian life. She lives in Rome, Italy. Eating Rome: Living the Good Life in the Eternal City is available for purchase [here] as of April 7, 2015. Disclaimer: St. Martin’s Press graciously provided a media copy of Eating Rome to review. I received no further compensation and, as always, all opinions are my own. The goal of The Paper Airplane is to share the best of the best in travel experiences, products, and entertainment. If it’s reviewed, it’s because the given entity is genuinely awesome.